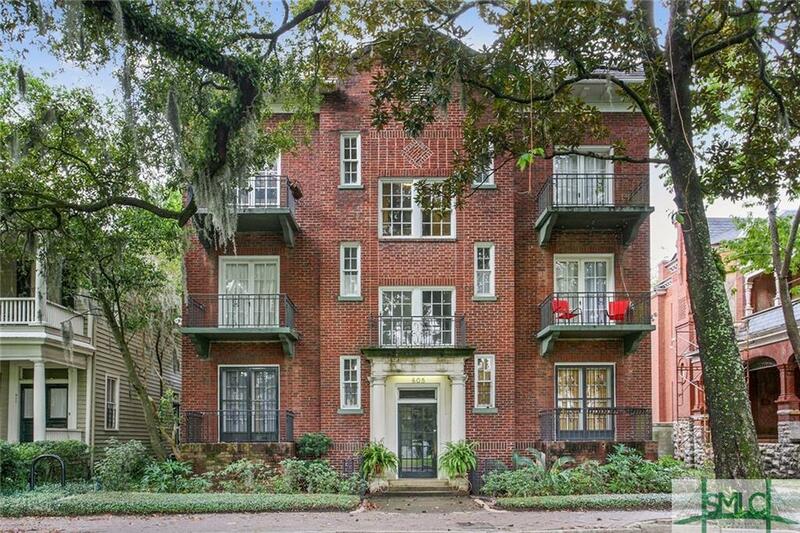 Picture perfect historic condominium (circa 1901) located in the heart of historic Downtown Savannah. 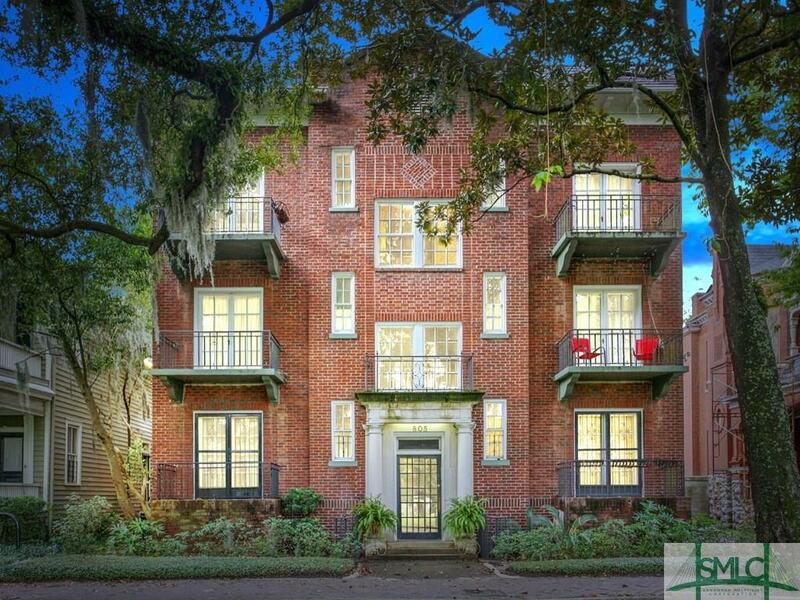 Situated just across from Forsyth Park and walking distance to many popular dining options and a variety of shops and grocers. 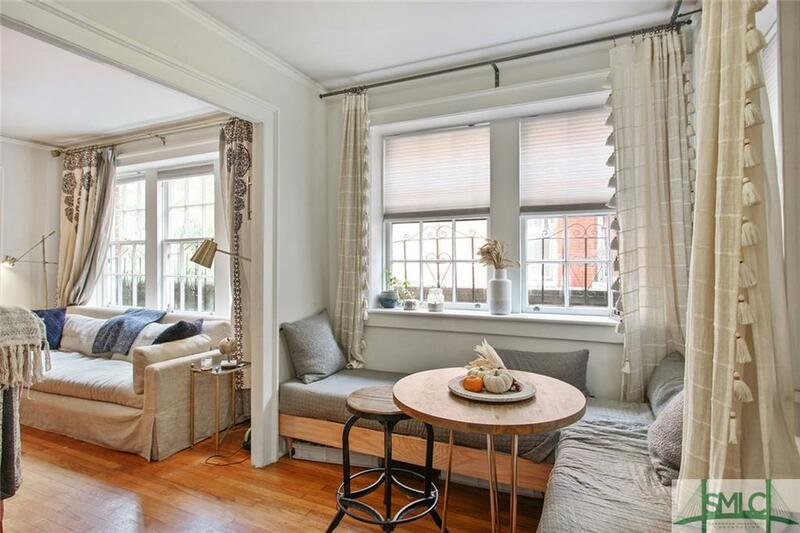 This 12 unit building was fully renovated in 2010 and has been updated with modern systems, but the historic charm and details are still intact. 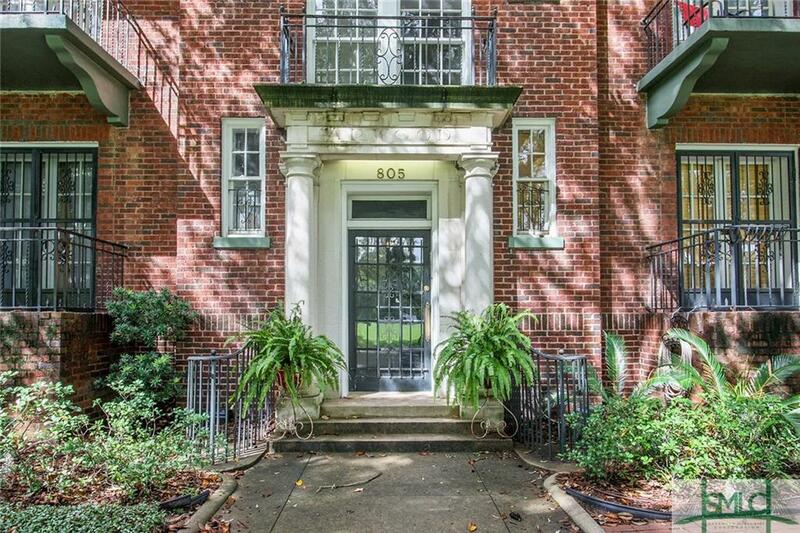 Located on the first floor and at the rear of the building, this unit offers both convenience and privacy. The apartment features generous closets, a light filled bedroom with large French Doors to the balcony. The bedroom has a queen size Murphy bed that may convey with the sale, if desired. The condo also features a large living room with an entire wall of windows, dining space and a small, but efficient well appointed kitchen. The building boasts secure entry, a large common laundry space, secure bicycle storage and storage lockers for each unit. Listing courtesy of Alison Harris of Keller Williams Coastal Area Partners. © 2019 Savannah Multi-List Corporation. All rights reserved.